In 1979, retired E. Liverpool, Ohio police captain, Chester Smith, re-wrote history and made international headlines in regard to the killing of "Pretty Boy" Floyd. In an article he wrote that year for Time magazine, Smith "decided it was proper to set the record straight because of the several men involved, he was the only one living." (Grapevine, 12/79) Floyd was killed in an Ohio cornfield on October 22, 1934. In the Time's article, Smith claimed it was he who brought down Floyd with a rifle, and not FBI Agents as history had written. Smith claimed that upon being shot, Purvis and others ran up to Floyd and Purvis ordered SA Herman Hollis to assassinate Floyd on the spot, telling Hollis to "Fire into him." (Grapevine, 12/79) Allegedly, Hollis followed orders and machine gunned Floyd to death in the cornfield. FBI history would have been re-written the day of Smith's article however, he overlooked one thing; one of the law enforcement officers present at the Floyd shooting was still alive. As a result, Retired Special Agent (SA) W. E. "Bud" Hopton (1934-1955) wrote Time magazine to tell them Smith's story was false because Hopton was there. In his letter to Time, Hopton states "The truth is Floyd was shot by two of the 4 FBI Agents present when Floyd aimed his gun at them." For added information, "Agent Hollis, whom I know personally, was NOT even present when Floyd was apprehended." Hopton sent Time a copy of his commendation letter from Director Hoover on the Floyd matter. (Grapevine, Dec. '79 issue). Hopton's revelations above can be corroborated in the fifteen page FBI report of SA S. K. McKee dated 10/26/34, a copy of which you'll find here in the navigation area. Pages 11-12 clearly reveal that SA Herman Hollis was back at the Travelers Hotel in East Liverpool, Ohio at the time of the actual shooting. The report also reveals those involved in the shooting (p.12) at the immediate time it happened in the field were Purvis, SA D. E. Hall, W. E. Hopton (above), and S. K. McKee. The above report also reveals it was SA McKee, and not SAC Melvin Purvis, who attempted to question Floyd about the Kansas City Massacre as he lay dying. McKee's actual shooting of Floyd is mentioned in the newly found diary of SA Tom McDade. Another item that policeman Chester Smith forgot about is that he admitted carrying a rifle to the shooting scene; Floyd was killed by 2 shots from .45 caliber ammunition according to the coroner report and not the caliber of rifle carried by Smith. 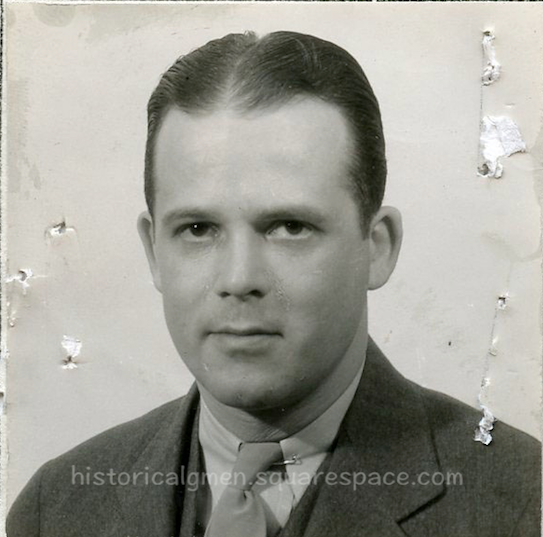 Author Bryan Burrough (Public Enemies) later spoke to Bob Beresford, a county sheriff who was close to Smith. Regarding Smith and his "story," Beresford said, "he would tell different stories at different times. I heard a couple of different versions; the version involving Hollis is a new one....."
Burrough, the author, later stated in his book, "Public Enemies," that "Smith's allegations must be dismissed as a canard generated by an elderly man embittered that others received the fame he felt he deserved." In his research, Burrough also corroborated that Hollis was not there that day. Floyd was brought to East Liverpool Ohio, the nearest town with a mortician, to be embalmed. The procedure took place in the morgue of the Sturgis Funeral Home. It's now the basement laundry room of the Sturgis House, a bed & breakfast, and Pretty Boy's death mask hangs over the washer and dryer. 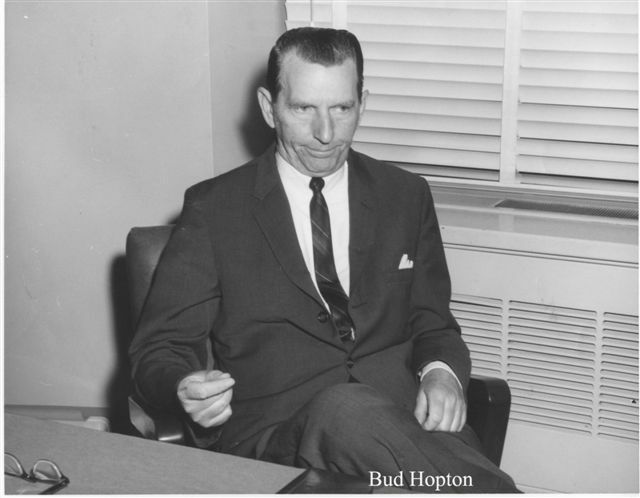 Hopton left the FBI in 1955 to become the Director of the Tennessee Bureau Of Investigation (TBI), a position he held there until 1971. Hopton retired to Franklin, Tennessee and was a member of the Former Agent's Society. He died of natural causes on July 3, 1998 at the age of 93. Upon retirement from the FBI, McKee held a prominent position with the Wackenhut Corp., of Miami, Fla. The date of his death is currently unavailable. He is survived by a son, Samuel, a retired USMC Colonel.